(September 14, 2013) – Muslims gathered at the recently concluded Islamic Society of North America’s (ISNA) Convention in Washington, D.C. enthusiastically welcomed the announcement of an agreement of mutual respect and unity between Sunni and Shi’a Muslims, reached between prominent leaders of the two groups. ‘It was a very moving moment for the history of Islam in America,’ said ISNA President, Imam Mohamed Magid. ‘ISNA is a platform for the unity of Muslims – whatever brings Muslim together strengthens all of them.’ The Islamic Society of North America (ISNA) celebrated its 50th Anniversary at its Annual Convention in Washington, D.C. over the Labor Day weekend. Thousands of people, from all walks of life participated in the convention. ‘I, personally as the moderator for the event, am very much thankful to ISNA and their hardworking staff and members,’ said Imam Nahidian, Director of Manassas Mosque in Northern Virginia and a signatory to the agreement. ‘I believe due to the sincerity and love of so many volunteers, this successful event was achieved and no doubt, Allah’s help is with a gathering bringing Muslims together.’ The President of the United States, Barack Obama, and the Mayor of the District of Columbia, Vincent Gray, congratulated the Muslim American Community on the auspicious occasion. In his video address, the President highlighted the many ways in which Muslim Americans and ISNA leadership are serving as an effective partner in promoting inter-religious initiatives in the United States and religious freedom for minorities around the world. *Please see text of agreement below. 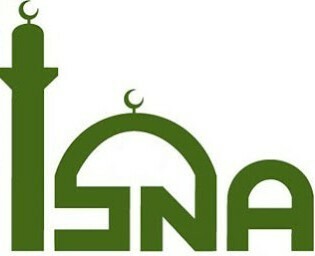 The Islamic Society of North America (ISNA) describes itself as “an independent, open and transparent membership organization that strives to be an exemplary and unifying Islamic organization in North America by contributing to the betterment of the Muslim community and society at large. ISNA emerged out of the early U.S. Muslim Brotherhood infrastructure and documents discovered in the course of the the terrorism trial of the Holy Land Foundation confirmed that the organization was part of the U.S. Muslim Brotherhood. ISNA was named as a Holy Land unindicted co-conspirator as a result of what the US Justice Department called the organization’s ” intimate relationship with the Muslim Brotherhood, the Palestine Committee, and the defendants in this case.” In 2009, a US federal judge ruled “The Government has produced ample evidence to establish the associations of CAIR, ISNA and NAIT with HLF, the Islamic Association for Palestine (“IAP”), and with Hamas.” ISNA has had a long history of fundamentalism, anti-semitism, and support for terrorism. ISNA of late. Clearly considered to be “rehabilitated” by the Obama administration, ISNA has more recently issued robust condemnations of terrorism beginning with this 2008 ISNA statement that although denying culpability in the Holy Land terrorism financing case, for the first time condemned terrorism while identifying Hamas and Hezbollah by name. ISNA has also been engaged in an active program of interfaith cooperation that has included partnerships with Jewish organizations and visits to concentration camp sites in Europe. Yet despite these new efforts, ISNA continues maintain strong ties to both the US and Global Muslim Brotherhood and has failed to date to acknowledge any aspect of its actual origins or its history of fundamentalism, anti-semitism, and support for terrorism. For these reasons, the Global Muslim Brotherhood Daily Watch concludes that ISNA remains, as it always has been, an integral part of the US Muslim Brotherhood. A post from June discussed the announcement by the Muslim Public Affairs Council (MPAC) that MPAC President Salam Al-Marayati spoke at a US Shia Muslim gathering about another “‘Intra-faith Code of Honor.” MPAC is another part of the US Muslim Brotherhood.